Mottos, mantras, visions and brands; every company or sporting team seems to have one these days. The truth is most aren’t worth the cheap frames they sit in. How the Hawks did it is a guarded secret, but you can be sure that it did not ‘evolve’ by default. Coach Al Clarkson and his men ‘designed’ the environment that turned ‘Play Your Role’ from a cute saying into something they lived and breathed. It worked for the Hawks and it can work for your team or company too. Here’s two slightly obscure areas you will need to consider if you want to turn basic words into powerful drivers. Use Symbols Wisely – A symbol can be everything from an overt sign on a wall, to an innocuous behavior. 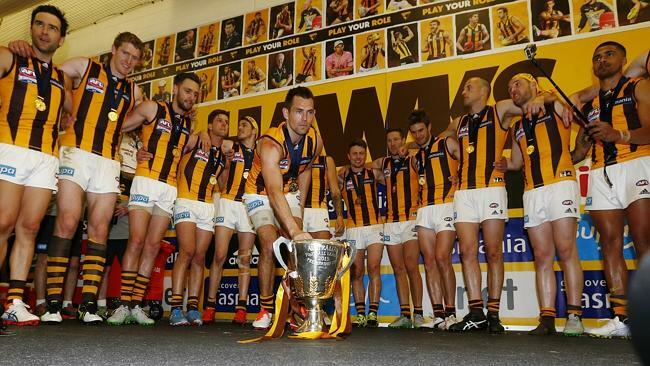 At Hawthorn the ‘Play Your Role’ poster in the changing room (see photo) contained not only pictures of the players, but also the coaches, support staff, trainers, doctors and even volunteers. Symbolically, every photo was the same size, representing that for this club to be successful ‘everyone’ from the captain to the boot studder had to play their role. Egos were left at home. Other symbols are less obvious. Symbols such as who gets rewarded and why? Who are the heroes in the workplace? Is it the brilliant yet inconsistent individual or the person who plays their role week in week out? These symbols show others what they need to do in order to get ahead or be recognized. In a company it can come down to who gets the best car park spot or the corner office. Who does the boss stop and chat to? They may not be as overt as a sign on the wall, but they are equally noticeable. Each of these powerful symbols drives our behavior far more than what is written in the company mission statement. Value the role – I had 7 coaches in 17 years at the Saints. Each time a new coach came I was sent from the Midfield to the Back Pocket. The next position from there is usually ‘out of the team’. One observant coach noted that I looked a ‘bit shirty’ whenever the team was read out. Over a private lunch he asked me about it. I said I had worked hard to get to play in the midfield, and I saw playing in defense as a backward step. He then explained to me how important in his eyes the Back Pocket position was. He wanted my experience to help young defenders and that strong defense was pivotal to team success. Importantly he added two things. First, if I wanted to be considered for move back to the midfield I had to be playing well as a defender. He wouldn’t reward me for poor performance. Second, I had to improve my kicking, as it wasn’t of the standard he required from midfielders. Immediately the Back Pocket now had purpose to it, and I saw value in the role. If you’re a leader, consider how each team member feels about the roles they undertake. Do they see value in them and if not how can you change their mindset. Then look at how you use symbols to reinforce the right behaviors. You may be surprised at the mixed messages you are sending. For further information on ‘designing’ a culture rather than letting one evolve by default, contact Nathan. 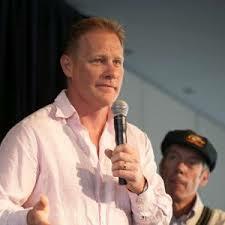 Nathan Burke is the founder of Nathan Burke Consulting – a Melbourne based firm that offers training and coaching solutions helping people and businesses achieve High Performance.